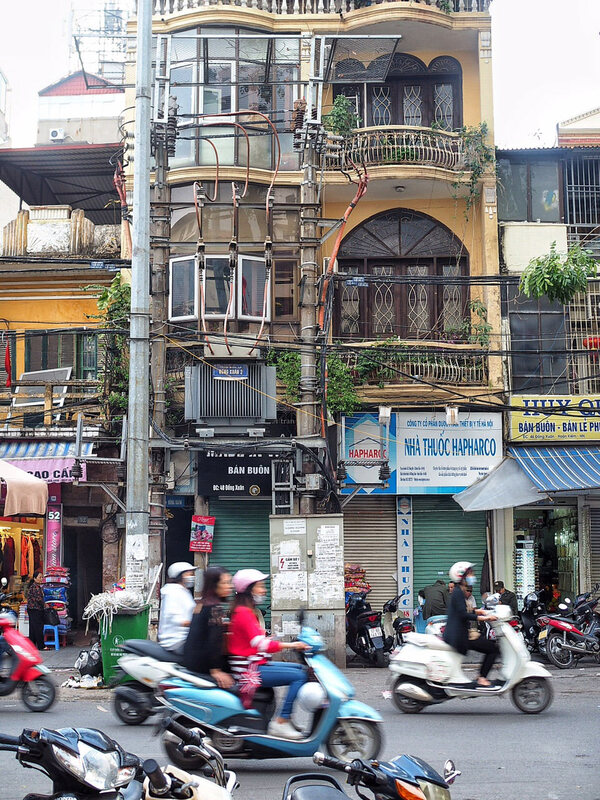 Hanoi, located in the North of Vietnam, is a bustling city filled with a unique blend of French and Asian culture. Hanoi is a bit of an assault on the senses at first, it’s loud and smelly and never seems to sleep. But the incredible architecture, numerous shopping options and some of the best street food I’ve ever tasted makes the capital an unmissable stop if you’re heading to Vietnam! You can fly to Hanoi from Sydney via Ho Chi Minh City, Singapore and Bangkok and it takes 13-14 hours, depending on the length of the stopover. 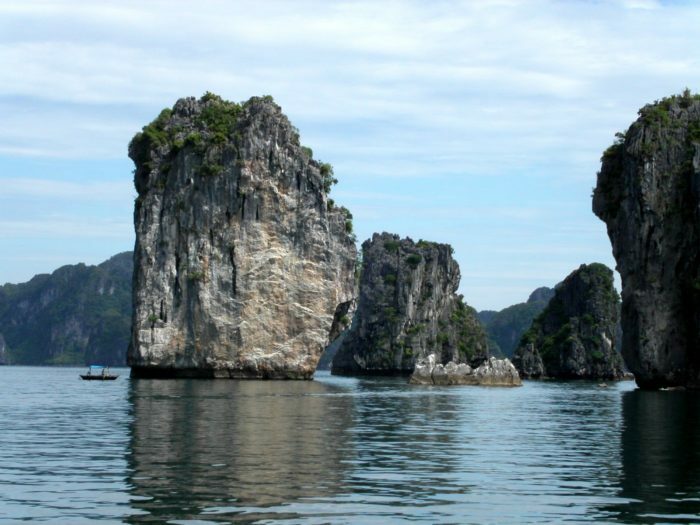 The easiest and quickest way to get there is with Vietnam Airlines, with a stopover of only 2 hours in HCM. 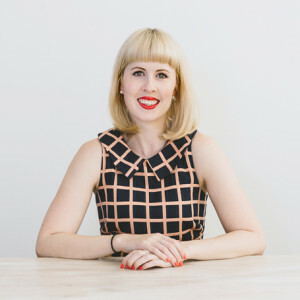 Please remember to organise your Vietnam visa before you leave, as they won’t even let you board your flight if you don’t have the necessary paperwork. Hanoi’s Noi Bai International Airport is located 35km north of the city and takes around 45 minutes to reach the centre of town. Taxis are cheap, but ensure you get a metered taxi so you don’t get ripped off. It should cost around VND 330,000 (about USD$15). 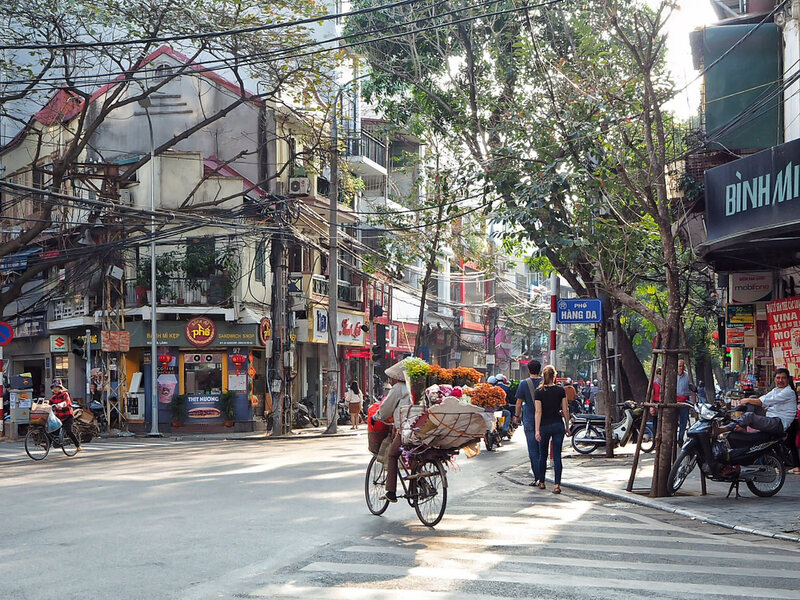 Once you’re in town, the best way to see Hanoi is on foot, especially if you’re staying in the Old Quarter. 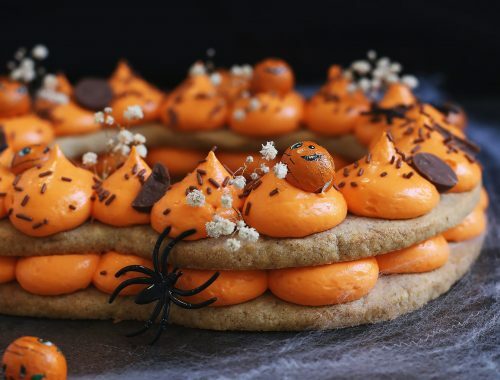 But be wary of crossing the road! Walk slowly, make eye contact with the motorbike drivers/cars and keep travelling forward – don’t panic and stop/run as this is when accidents happen! 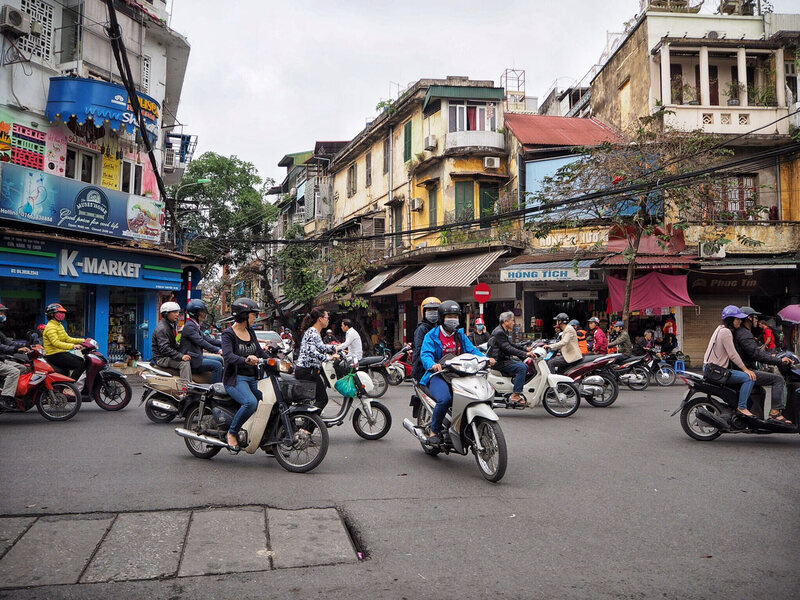 Crossing the street in Vietnam can be quite an anxiety-inducing process at first, but once you get the hang of it you’ll be a pro in no times. 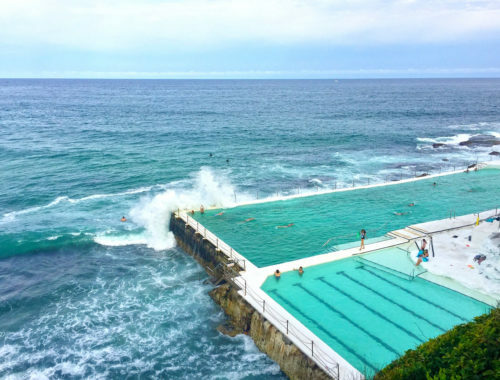 If you are really nervous, ask a local if you can cross with them. A lot of cyclos still operate in the Old Quarter and are a fun way to see the city and get where you need to go. Make sure you settle on a price before you depart so there are no hidden surprised when you get to your destination. Most cyclo drivers speak little English, so it’s best to bring a map or your hotel’s card so you can show them where you want to go. Uber is also incredibly cheap in Hanoi, and I took a few UberX trips around the city for less than USD$1 each. They also have Ubermoto which is even cheaper – yes you jump on the back of someone’s motorbike. I wasn’t brave enough for that! 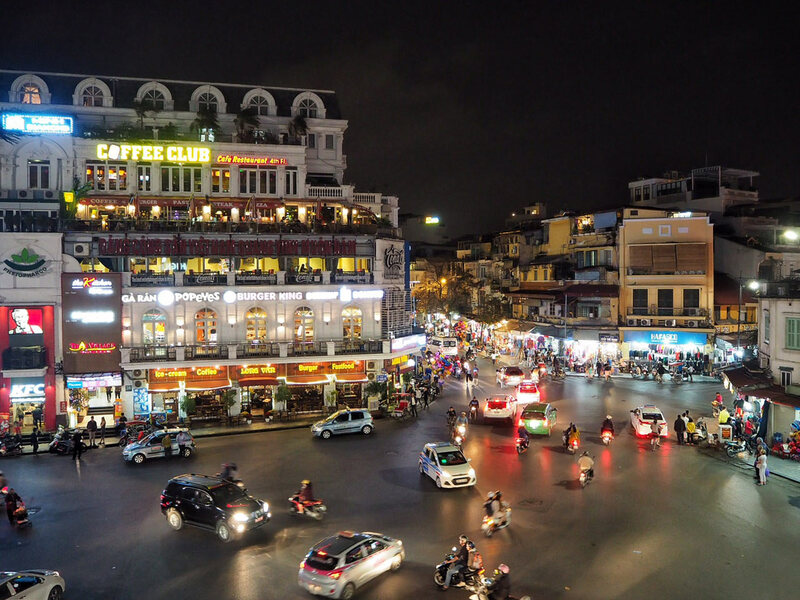 All these suggested hotels are in the Old Quarter – this is my favourite part of Hanoi to stay as it’s filled with amazing restaurants, street side dining, shops and tourist attractions. It’s busy and loud, but you don’t go to Hanoi for peace and quiet! While this hotel is quite no-frills, it boasts clean rooms, attentive staff and a central location to base your travels in the Old Quarter. The O’Gallery is a newer hotel which has small but beautifully decorated rooms and is the perfect place to escape the hustle and bustle of Hanoi. The staff are more than helpful and the breakfast is delicious! 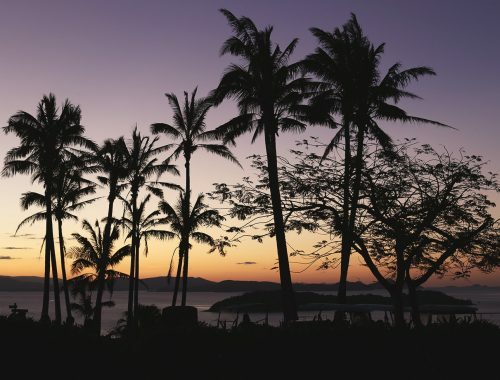 If you want to indulge, book yourself a few nights in the Sofitel and be prepared to be amazed. This classic colonial hotel offers 5 star luxury with incredible rooms and amenities, impeccable service and views of Hoan Kiem Lake. 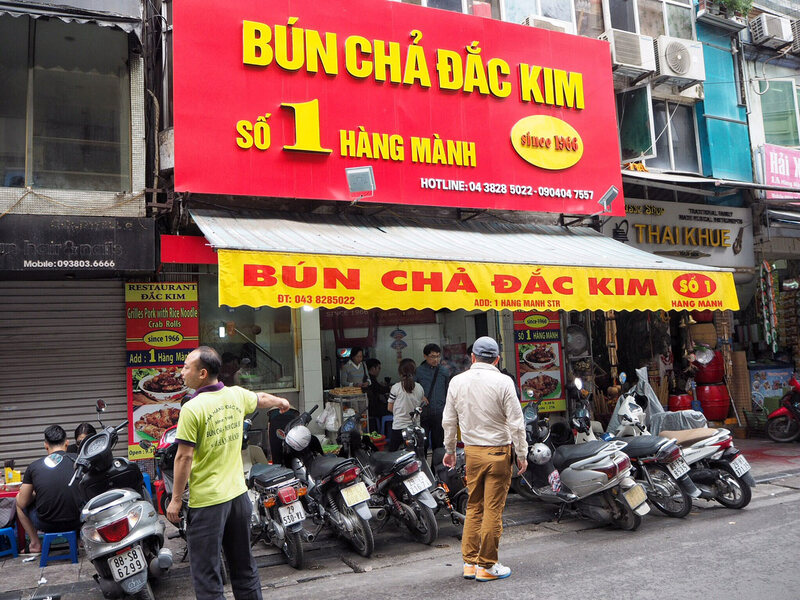 There is so much to see and do in Hanoi including sampling street food, haggling in markets and learning about Hanoi’s checkered history. There are some more touristy things you can do such as the Water Puppet Theatre and a cyclo (rickshaw) tour, but I personally recommend just wandering through this fascinating city. 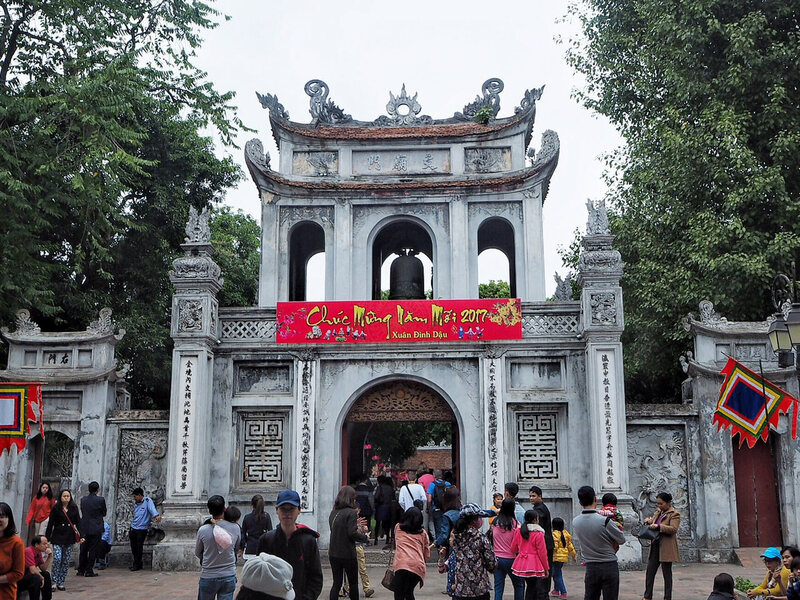 The Old Quarter is also known as Hoan Kiem District and is the heart and soul of Hanoi. 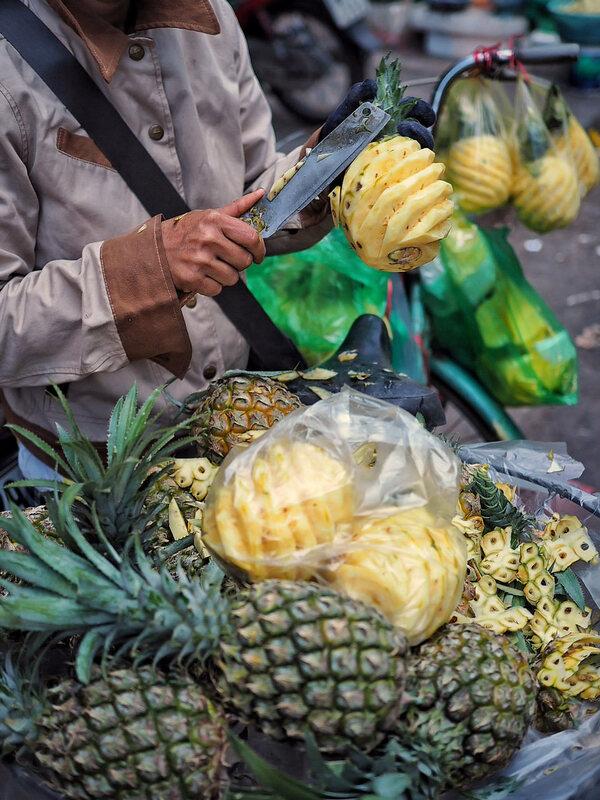 The streets are narrow and filled with motorbikes, street vendors and shops, and it’s the perfect spot to discover some of the city’s famous French-colonial architecture. A lot of the streets in Hanoi are divided by what they sell – for example, Hang Ma Street sells toys, paper goods and religious offerings. 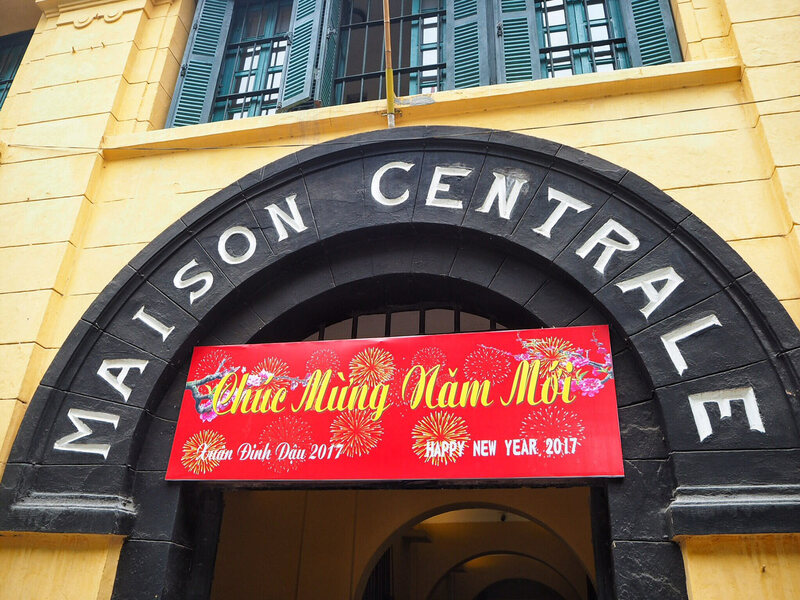 This prison, known as “Hanoi Hilton” has been turned into a museum to preserve the stories of POWs. 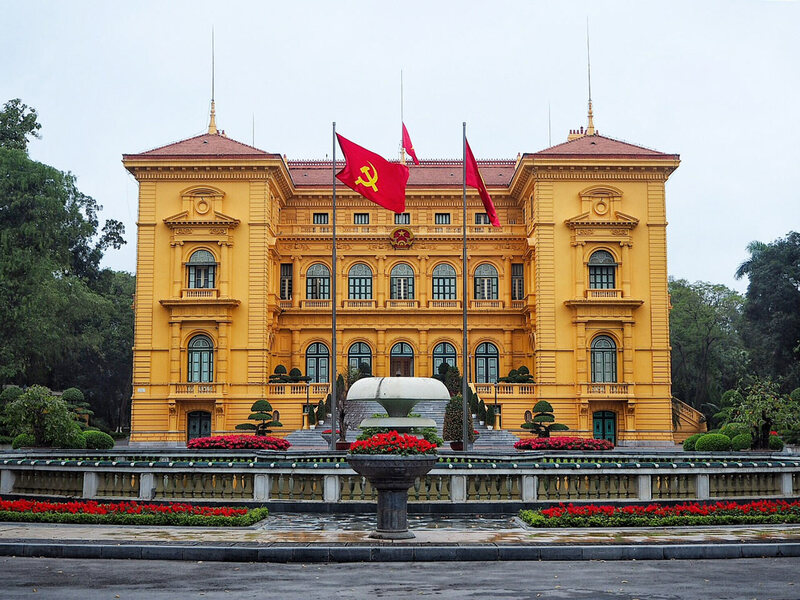 It was originally used by the French in Vietnam for political prisoners, and then housed U.S. Prisoners during the Vietnam War. This eye catching building was constructed in 1900 by French architect Auguste Henri Vildieu and if you’re an architecture junkie, I highly recommend booking a guided tour through the building and grounds. 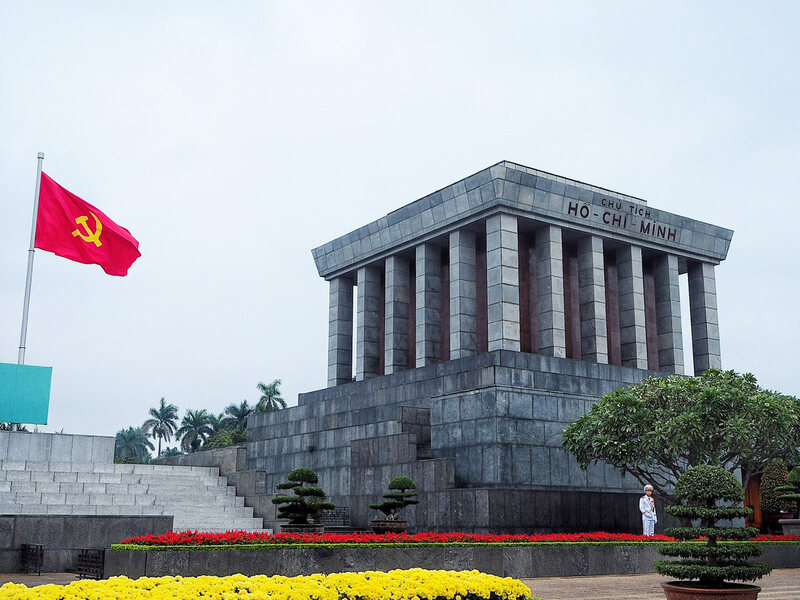 This stunning building honours Revolutionary leader Ho Chi Minh and his body is on display in the mausoleum. 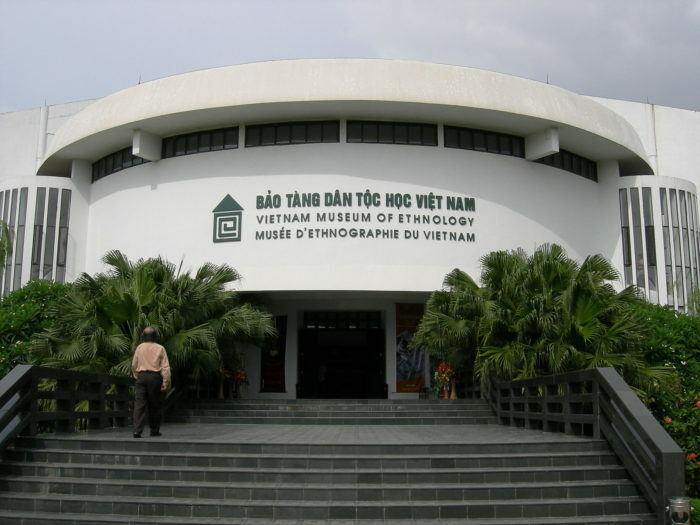 Tourists can learn more about him in the adjacent Ho Chi Minh Museum. The temple grounds are filled with manicured gardens, gorgeous artworks and a stunning temple built in 1070. The Imperial Academy also resides here, which is Vietnam’s first national university. The Museum of Ethnology was my favourite in Hanoi, and shares a fascinating insight into the lives of 54 different ethnic groups that live within Vietnam. 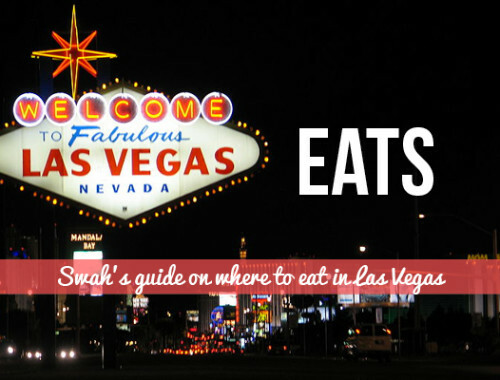 It’s a bit out of the way from the Old Quarter, but well worth the trip! 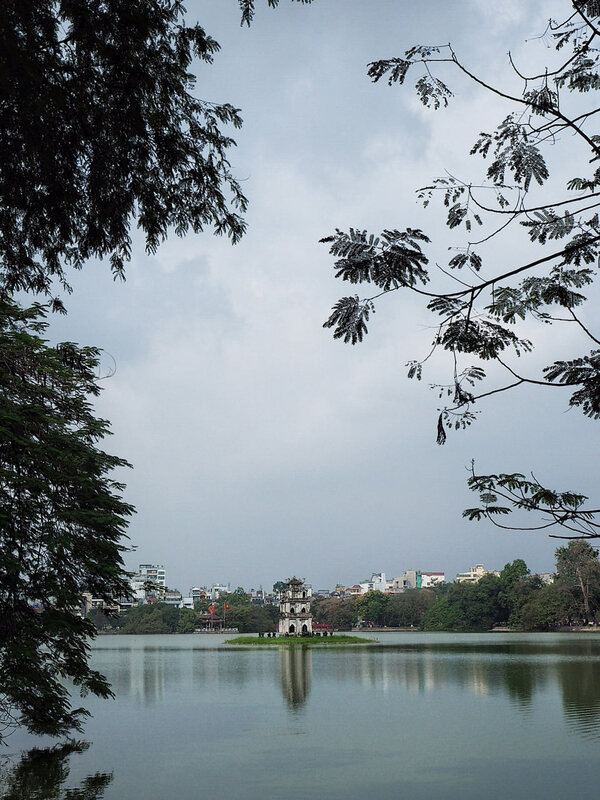 This lake is the heart of Hanoi, and draws all walks of life to its shores. 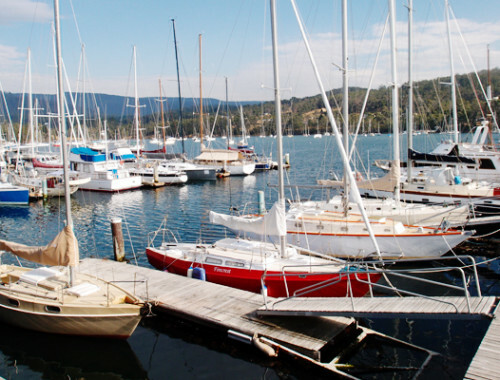 Locals and tourists alike flock to this lake to catch up with friends, go for walks and practice tai chi. 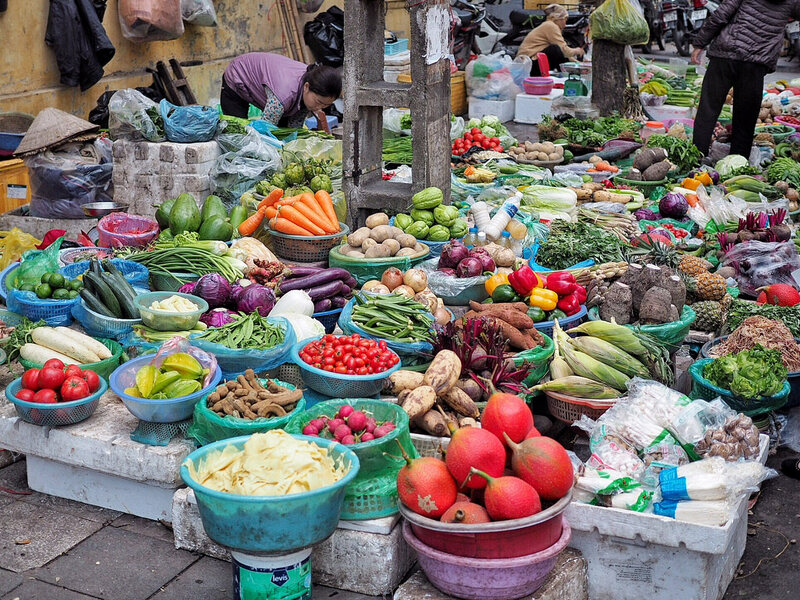 Hanoi has numerous local markets and it’s a great way to buy some fresh produce, practice your haggling or just people watch. 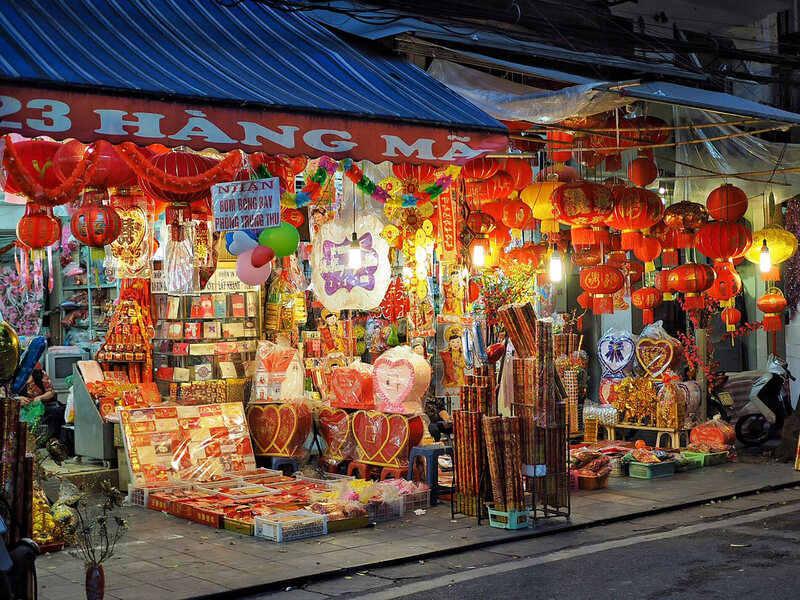 Dong Xuan Market is open daily for 6am and sells a range of food and fashion and the Hanoi Weekend Night Market offers souvenirs and street food. Next time I’d love to visit the Quang Ba Flower Market, which opens at 2am if you’re especially keen. It this cathedral reminds you of Notre Dame in Paris, you’re not alone. 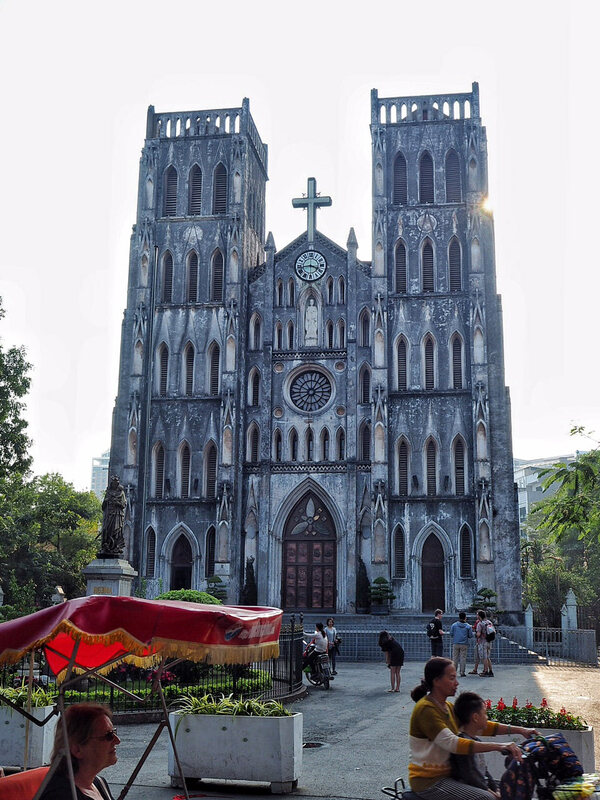 This Neo-Gothic building was influenced by it’s French cousin and was built in 1886 – it’s Hanoi’s oldest church. I did a walking food tour in the evening with Urban Adventures and it was a great way to explore Hanoi on foot with a local guide. We learned about Hanoi’s unique food culture and sampled Banh Mi, Banh Cuon, street side BBQ food and Vietnamese desserts. If you have the time, I highly recommend booking a trip to Halong Bay. I did an overnight cruise and it was magical to wake up on my junk boat to admire the natural beauty of this bay dotted with limestone islands. I also did a 4 day trip from Hanoi to Sapa, in the mountains of Vietnam. Stay tuned for my trekking guide, coming soon!